Rifkin’s six-day curriculum focuses on the central question of why there are few black physicists. I enjoyed your class assignment about the race gap in physics, about the lack of Black physicists. You seem to think that this is due to white privilege. As you are a physicist, and mathematician, I trust you can understand data analysis, statistics, math, correlation and causation. You certainly also heard about Occam’s razor and wondered about the convoluted logic employed to justify giving up Martin Luther King’s dream of a "color blind society". In exchange we now have color quotas everywhere, even in school discipline. As a scientist, I trust you are open to scientific argument and mathematical proof. I will provide this to you, and I am confident that you are a natural scientist that is open to data, not a social science dogmatist. Blacks, a group of people have consistently low achievements, everywhere, at all times, in spite of 50 years of affirmative action. They consistently have high crime rate, everywhere in the world, be it Watts, Detroit, or Haiti. That low achievement and high crime is exacerbated when there are no Whites that could discriminate, and Blacks govern themselves, like in Haiti, Detroit, or Zimbabwe. the group has inherent low achievement and high criminality. Races are different, they are not equal. Women and Minorities in Science. Certainly, as a physicist , when presented well formed argument supported by a vast body of proof. you would not cast the evidence aside, because it violates the equality dogma of the political correctness religion. Just as the medieval pope did. He rejected Galileo’s proof of the heretic heliocentric theory. How diversity makes us smarter – What a lie! How Diversity Makes Us Smarter – Not! 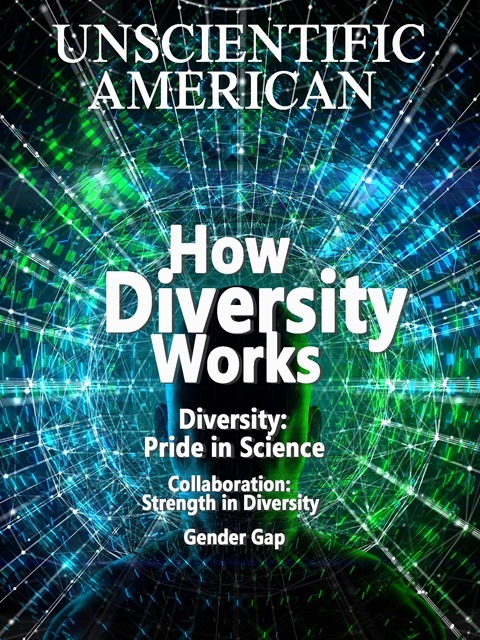 Scientific American has been polluted by the same junk science that pervades our Universities’ politically correct cultural Marxist social science and humanities departments. Entire generations are being indoctrinated with falsehoods, in much more devious ways then communist Soviet Union and China were ever capable of. If we ‘need’ more women in boardrooms, do we ‘need’ more white sprinters in the Olympics 100 metres final? Note that women are hopelessly outcompeted by men in tennis, snooker, chess and, yes, cooking. The Bell Curve shows clearly how IQ is the most solidly researched issue in Psychology. Highly recommended book! Campaign for Merit in Business, which was launched early in 2012, has made a remarkable impact in a relatively short time. We’ve proven beyond all reasonable doubt that the ‘glass ceiling’ is a baseless conspiracy theory. Through exposing as fantasies, lies, delusions and myths, the arguments which said that increasing gender diversity in the boardroom (‘GDITB’) will improve corporate financial performance, we’ve destroyed the long-vaunted ‘business case’ for GDITB. We continue to publicise five longitudinal studies, all of which show that GDITB leads to declines in corporate financial performance. What else would we expect when businesses aren’t free to select the best people for their boards, regardless of gender? Proponents are left with little other than misrepresenting correlation as causation in pursuit of their social engineering programmes. 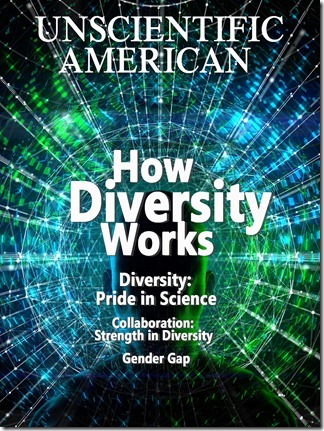 Author Human-Stupidy (Admin)Posted on September 20, 2014 Categories Diversity, Political correctnessTags Diversity is our strength, Scientific American, gender quotas, political correctness, quota nonsense, quotas, race differences1 Comment on How diversity makes us smarter – What a lie! Author Human-Stupidy (Admin)Posted on July 7, 2013 July 7, 2013 Categories Men's Rights & FeminismTags Andy Murray, Marion Bartoli, duration, equality, equality of outcome, feminism, prize money, quotas, tennis, wimbledon1 Comment on Same prize money for half the time of weaker play. "Equality" at Wimbledon’s final.